DBS offers a fast, effective, and less invasive approach to concrete leveling with PolyLevel®. The PolyLevel® system involves injecting an expanding polymer foam under the concrete for a durable, long lasting solution. 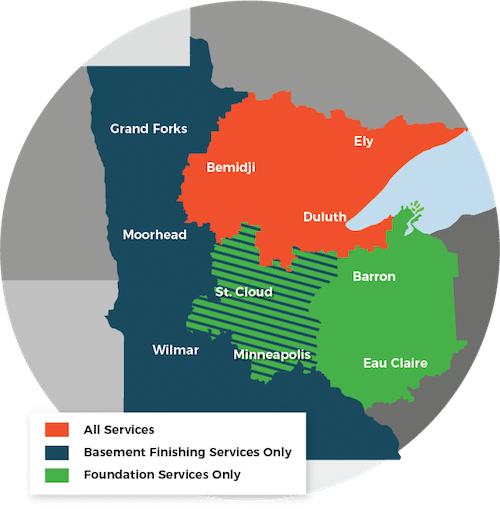 If you're interested in learning about what PolyLevel® can do for you, call us for a free estimate in Duluth, Superior, Minneapolis and nearby. DBS is Duluth Superior Area's trusted concrete leveling contractor. Schedule an estimate in Hermantown, Two Harbors, Cloquet, Esko, Virginia, Ashland, St. Paul and nearby to learn more about why PolyLevel® is our top choice for repairing sunken driveways, sidewalks and more!